Lauren and Dane celebrated their charming wedding with friends and family at a picturesque private estate on the Gold Coast. 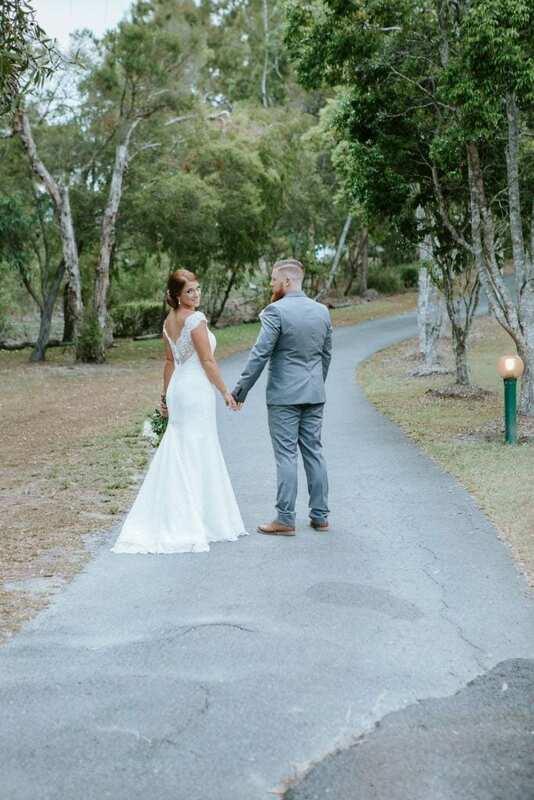 The couple shared their special day at Coolibah Downs Private Estate – a boutique wedding venue nestled into the Gold Coast hinterland. This private venue has a warm old-world feel. Wearing the stunning SKYLER gown by Augusta Jones, Lauren was beaming all day long. The gown features floral french eyelash lace, a sheer boat neckline and low back for an undeniably elegant look. Lauren opted for polished up-do to allow the gown’s off-the-shoulder scalloping detail to remain a feature. With a stunning bouquet by Flora by Laura and accessories to top off her look by Swarovski, it really was the perfect day! Dane and Lauren shared their stunning wedding photos with us below!